We are a team of husband and wife, French-born, already living in 5 different countries over 4 continents. We fall in love quickly, 16 years ago! And we fall for photography too at the same time. Together, we've decided to quit our comfortable work and country to explore the World, 7 years ago. Since then, brides and grooms trust our vision and thanks to them we are able to capture unique emotions! We love photographs that teach or reflect some kind of honesty in humanity. We believe that photographs are important to the history and to personal development and that responsibility is not lost on us. 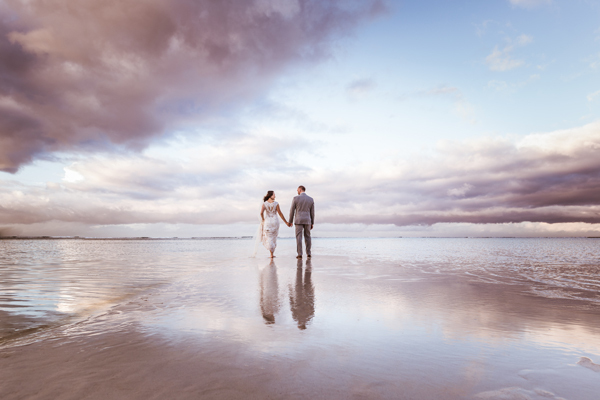 Samuel and Virginie are award winning photographers based now in Victoria and are available for travel worldwide. They still go often to Bora Bora, Tahiti and travel also often in all British Columbia.